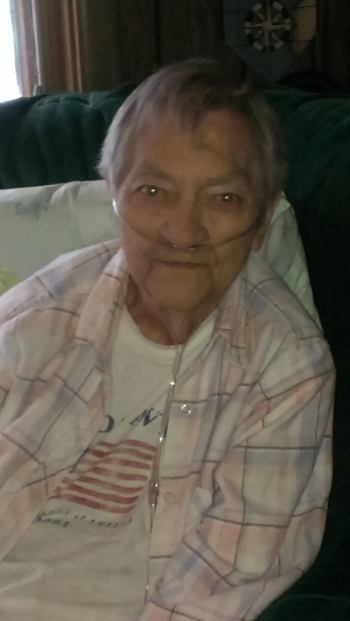 Theresa G. Shumway, 86, of Tupper Lake, passed away on February 16, 2017 at Adirondack Medical Center in Saranac Lake. Mrs. Shumway was born in Faust, N.Y. to Israel Bishop and Ella Jarvis Bishop on April 28, 1930. She married Arthur Shumway on June 5, 1948. She worked for Xerox for over a decade. She was a member of the Piercefield Fire Department Ladies Auxiliary. Mrs. Shumway is preceded in death by her husband Arthur Shumway, her brothers Elmer Bishop, Norman Bishop, and Leonard Bishop and her sisters Beatrice Miller, Rayah Desrosiers, Dorothy Kenville, and Rena Amell. She is survived by her children Sherry (Richard) Beaudette, Cyndi Hritz, Rick (Valerie) Shumway, Gary (Judi) Shumway, and Penny Shanty, her sister Lilian Laquay, eleven grandchildren and eleven great-grandchildren. Calling hours are scheduled from noon to 2p.m. on Saturday, February 25, 2017 at Stuart- Fortune- Keough Funeral Home with a memorial service immediately after. A gathering will follow at the V.F.W.